The Royal Society for Public Health (RSPH) believes there is a need to position the strong inter-relationship between arts and individual and community health as one of the key building blocks towards sustainable, resilient communities. There is also an art to fostering our wellbeing. This report considers the background arts and health has developed in, progress made, arts interventions in different settings, and where the future lies for arts and health, including areas for further research. Wyn Owen, J. (Chair). (2013). 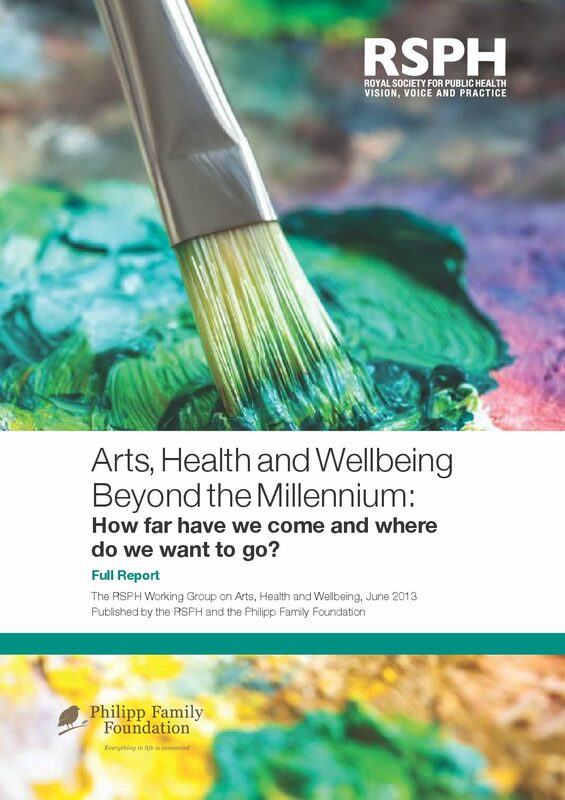 Arts, health and wellbeing beyond the Millennium: How far have we come and where do we want to go? London: Royal Society for Public Health & Philipp Family Foundation.